While I was attending a workshop in Missoula, MT a few weeks ago, I shot approximately 1200 photos. Some were for workshop related assignments and others were for my personal reasons, just capturing the essence of Missoula. Missoula is the most bicycle friendly town I have ever been in. Almost as many bicycles as cars and motorcycles and bike racks were in abundance along the sidewalks throughout the town. Rarely did I see much vehicle traffic, but while walking around town one evening I saw this scene and captured several shots as this motorcyclist was merging with traffic. This was probably the most traffic I had seen all week! 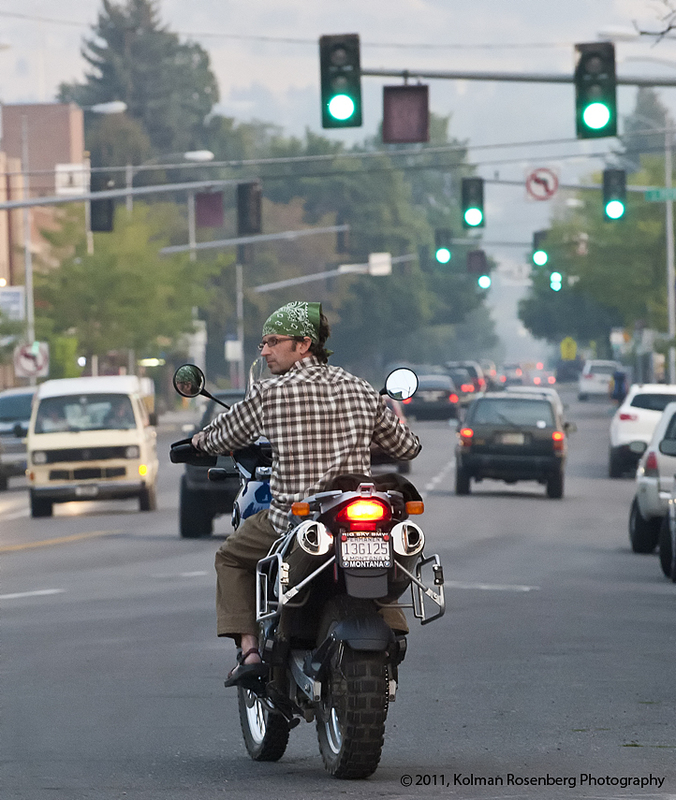 This entry was posted in Uncategorized and tagged bicycle, Bike Rack, Cycle, Green Light, Merge, missoula, montana, Motorcycle, mt, Road, Rush Hour, Taillight, Tire, Traffic, Vehicle. Bookmark the permalink.